I posted recently about Lottie Dolls as part of our review of the beautiful Autumn Leaves Lottie. Little H was beyond excited when a new outfit arrived in the post for Lottie especially because it was a superhero costume. The outfit was designed by a child for children and is the inspiration of six year old Lily, from Ohio, USA, independently judged by the Brave Girls Alliance. The set marks the first time that a crowd-sourced design by a child has gone into commercial production. 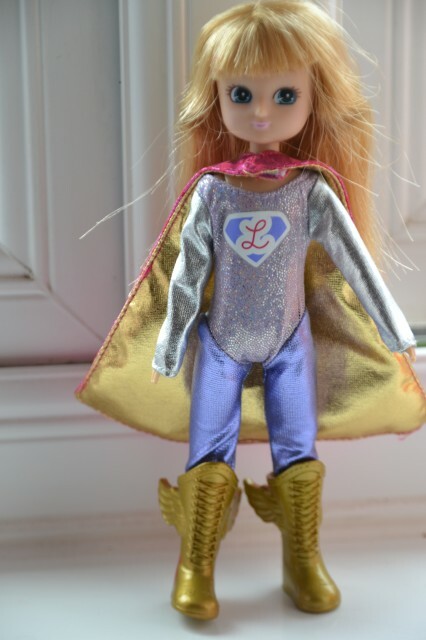 We were sent the Superhero costume for Lottie, as part of our role as Lottie Ambassadors, my girls adore Lottie anyway and even more so now she has clothes to change. I love that they have a girl superhero to play with, she’s been battling The Hulk, Superman and dinosaurs like any fully fledged superhero should. You can see the other Lottie accessories here, which is your favourite? I think my girls would love the Sweet Dreams set. 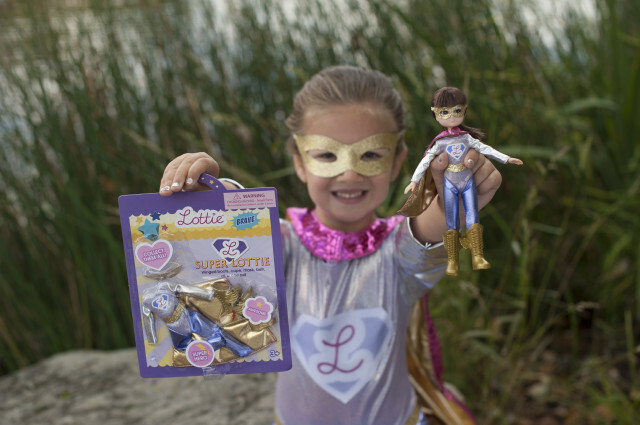 We are Ambassadors for Lottie and were sent the superhero costume for the purpose of this review. Aw Mads would love this, it’s so cute! Katie @mummydaddyme recently posted..You Are Nearly Four…And An Apology.